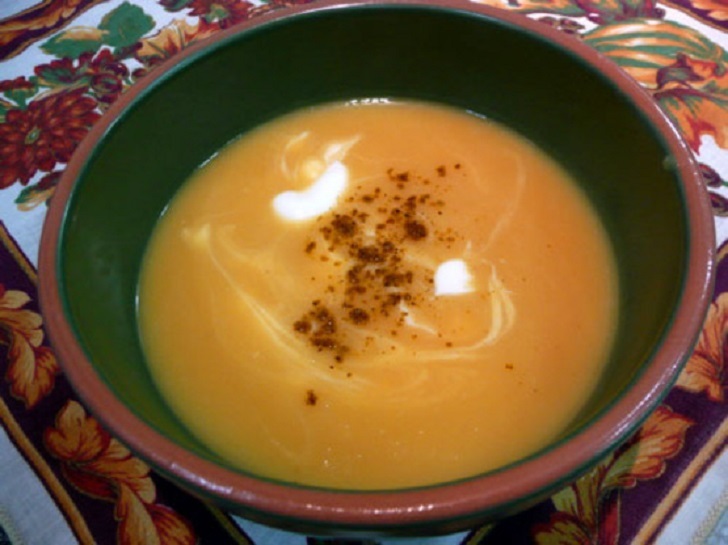 This is a delicious soup with a truly different taste and texture from any other soups I have eaten or made. It is nutritious and healthy for day-to-day eating and is also ideal for dinner parties. Be ready to be asked for the recipe! It reheats well, including in the microwave, and makes a great lunch to take to work. 1. In a large saucepan, heat the oil over medium heat. Add the onion and celery and cook for about 10 minutes, or until soft but not browned. 2. Add the sweet potatoes, pears, chicken broth, vermouth, cinnamon stick, orange zest, and thyme. 3. Bring to a boil, reduce the heat and simmer, covered, for 35 to 45 minutes, or until the sweet potatoes are tender. Remove the cinnamon stick. 4. In a food processor or blender, puree the vegetable mixture, in batches, until smooth.